12:08 <gchristensen> LnL: hmm! so I upgrade my client? 12:52 <gchristensen> maybe I'll downgrade to 1.x for this part. 13:27 <sphalerite> gchristensen: I frequently get connection timeouts when sshing into the aarch64 community box. Any idea why this might be? 14:06 <sphalerite> also the community box seems to be completely unreachable for me right now..? 14:25 <gchristensen> should be up now? mog you're good now. 14:28 <mog> gchristensen, actually i accidently destroyed the private key can i send you a new pr? 14:57 <gchristensen> how long is the build? 14:57 <gchristensen> mog: do you have stuff you want to bild ~now? 16:09 <gchristensen> is it sessions timing out or something? 16:56 <gchristensen> now you can go and see if something is up when having problems with the builder. 19:11 <samueldr> argh, another day out of my element! 19:13 <samueldr> you see, adding "-enable-kvm -cpu host,aarch64=off"
19:16 <samueldr> and is it me or --option system armv7l-linux fails on aarch64? 19:16 <sphalerite> gchristensen: those little things that you want to do forever and never get around to! 19:20 <samueldr> will probably need a more recent nix anyway? 19:21 <sphalerite> whaaaaat I never noticed that typo! 19:26 <gchristensen> _sighhhh_ compiling the kernel again. 19:26 <gchristensen> even with -j8 it is slow. 19:26 <sphalerite> gchristensen: also in that category, I set up DNS for my VPN the other day. It's really nice being able to type names instead of numbers, and use ipv6! 19:26 <gchristensen> :o! how did you do it? 19:27 <gchristensen> sphalerite: oh that box should be booting now, but I can't look yet. 19:28 <sphalerite> gchristensen: ooooh awesome! 19:29 <sphalerite> but by *that* much? 19:29 <samueldr> maybe storage speed? 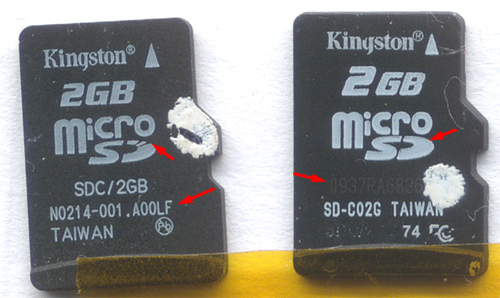 while SD card for both, maybe a bad bus + a bad card? 19:31 <sphalerite> stick the kernel on an SD card and the rootfs on the hard drive? 19:32 <sphalerite> but samsung ought to be good, no? 19:33 <sphalerite> oooh good work! 19:49 <gchristensen> this dang kernel is still compiling. 19:50 <gchristensen> it has taken longer than the house cleaning. 20:03 <mog> can you verify user mog is on the system? 20:05 <mog> seems likely i am not all the way inputed then? 20:06 <samueldr> gchristensen: I assume I would see mog in /etc/passwd if everything was right, right? 20:07 <mog> maybe he hasnt done rebuild on it yet? 20:08 <sphalerite> gchristensen: the deploy didn't work right! 20:33 <samueldr> [samueldr@arm-community:~]$ grep mog /etc/passwd || echo "oh no"
20:36 <sphalerite> I think it's just not booting the new thing? 20:57 <mog> Welcome to the NixOS community aarch64 build box! 21:19 <sphalerite> samueldr: dezgeg's installer images? 22:42 <samueldr> the panics, any idea, tips, or clues?